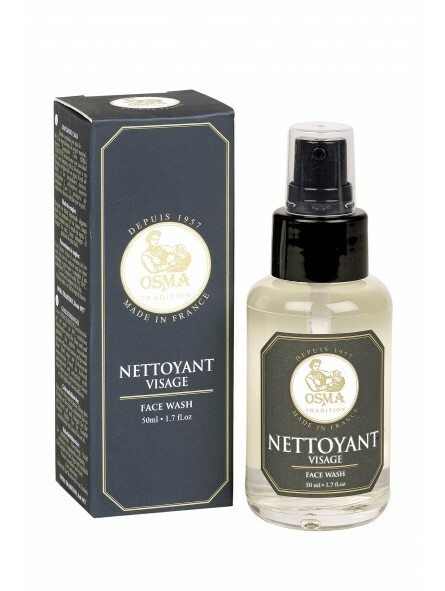 Osma Tradition Face Wash 50ml. Composed with more than 99% of natural ingredients, our Osma Tradition Face Wash will act smoothly for an effective cleaning. Its daily use will insure you an healthy and clean skin. Thanks to its formula enriched in Oak floral water, known for its tonic, astringent and antiseptic properties which will protect your skin against daily attacks. Since 1957, Osma offers to customer’s high quality products dedicated to wet shaving. In respect to the craft traditions, rigorous selection of our raw materials, choice of natural ingredients are the values which we always put forward in the creation of our products. In this way was born Osma Tradition, simplicity, authenticity and quality are the foundations of Osma Tradition product range.